Throughout its intriguing history, San Francisco has welcomed a variety of eccentric souls, but humans aren’t the only ones to have come to the beautiful City by the Bay. 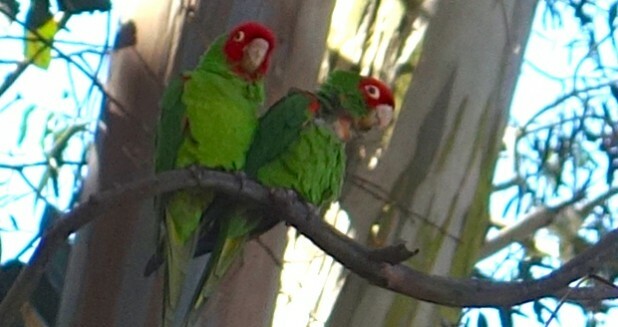 Many non-native animals also call the city home, including a flock of mostly red-masked parrots, known locally as the Wild Parrots of Telegraph Hill and regarded as some of the area's most popular residents. Despite the “Telegraph Hill” in their description, these vivid, boisterous personalities can be found throughout a few hills of San Francisco. Sightings have been reported from Fisherman’s Wharf, Russian Hill, Chinatown and even the Presidio, toward the Golden Gate Bridge. The birds are difficult to spot; the trick is to listen and not to look for the birds. Their trademark squawk can give away the flock no matter where you are in the city — all you need to do is look up. If you are lucky enough to find them, please don’t feed the birds because it’s against city law and can endanger the parrots. Many wonder how these feathered friends came to call San Francisco home. After all, the city’s climate isn’t the tropical weather these parrots originally lived in. Many urban legends surround the parrots’ arrival, with some saying they were imported from South America. Until the U.S. ban on the wild bird trade in 1993, America was the largest importer of wild-caught, tropical birds in the world, with many arriving from Latin America. Wild parrots were sold as pets in S.F., but some escaped or were let go because they were too noisy. And although speculated today, some say a female mitred parrot came into the picture to create a secondary Summer of Love for the parrots. But truth be told, nobody really knows how the population of parrots came to be. Much of what is known about the parrots is because of “Parrot Man” Mark Bittman, a local who fed and looked after the birds for six years. Learn more about him and his colorful co-stars in the documentary “The Wild Parrots of Telegraph Hill.” Or grab your camera and create your own story with these iconic characters that embody the charm of San Francisco. 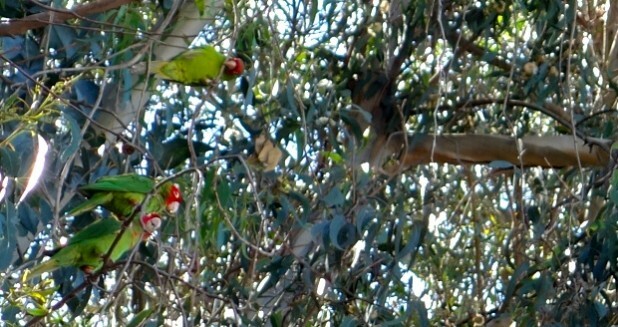 Listen for the Wild Parrots of Telegraph Hill. They can improve your time in San Francisco.